Hunting is a serious business; if your optics have not specifically been designed with hunting in mind, can you trust them when the time comes to take the shot? Hawke’s NEW Endurance WA line of hunting riflescope feature optics, chassis and reticle designs that have been explicitly engineered for big game hunting. The new Endurance WA wide angle optical system boasts a stunning 24° field of view with zero edge distortion, aimed at giving you the best sight possible, while keeping an important 4-inch eye relief. Built into a 30mm chassis the wide-angle optics feature either side focus for parallax free aiming from10 yards or non-side focus models with a fixed parallax at 100 yards. All models feature a heavy-duty erector system, maximising internal stability, and options of exposed locking or low profile capped turrets. The hard-anodized body tube is machined from lightweight, aircraft-grade aluminium, with a 4-16×50 SF model weighing only 644g/22.7oz. The Endurance WA range also showcases unique glass etched, illuminated reticle designs including the popular LR Dot and a new LRC reticle providing aim points matching centrefire ballistics, out to 500 yards. The Marksman reticle takes advantage of the shared ballistic profile of the popular .223 and .308 varmint and big game rounds to deliver out-of-the-box accuracy with aim points out to 700 yards. Reticles feature high brightness illumination, adjusted by a saddle mounted 6 stage control. 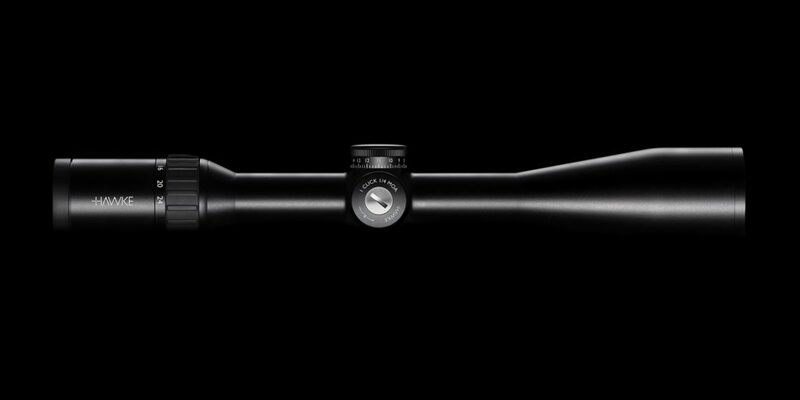 Click here for further information about the Endurance WA riflescope.